If you’re in the mood for a consistently delicious, 100% vegetarian meal, look no further than The Fiction Kitchen located at 428 S. Dawson St. in downtown Raleigh’s Warehouse District. The Fiction Kitchen successfully raised over $36,000 in their Oct. 2012 Kickstarter campaign. The funds went to purchasing new kitchen equipment for the restaurant, which has never been used to prepare non-vegetarian foods. 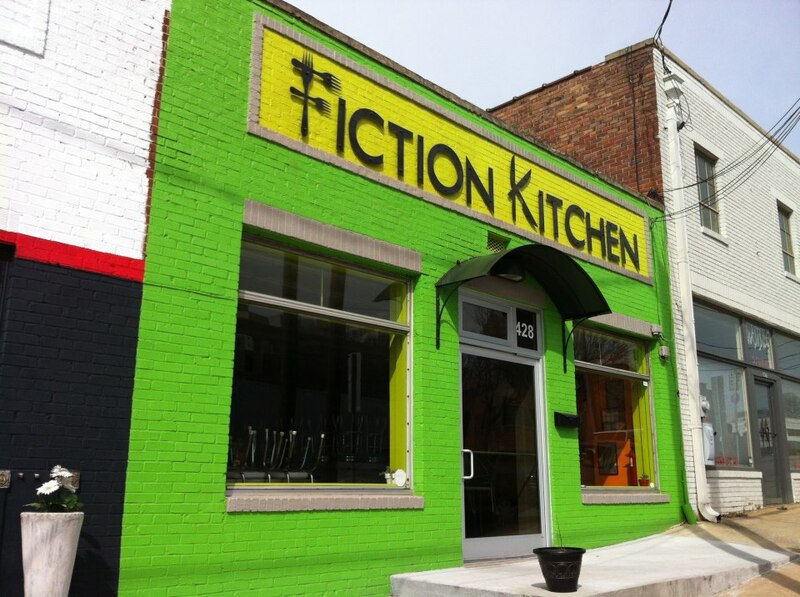 The Fiction Kitchen’s menu features fresh and creative vegetarian and vegan dishes. The Fiction Kitchen is truly a farm-to-fork restaurant featuring a daily farmers&apos; market plate crafted with local ingredients often from the State Farmers Market and the Raleigh Downtown Farmers Market. The menu is constantly changing, which reflects the seasonality of farm fresh, N.C. produce. I’ve been to The Fiction Kitchen a few times since their grand opening. Not only will each appetizer and entrée satisfy your taste buds, but the specialty cocktails will definitely wet your whistle. The Dark and Stormy cocktail comes highly recommended from my Foodie friend, which is crafted with Gosling&apos;s Black Seal Rum, fresh lime juice and house-made ginger ale. 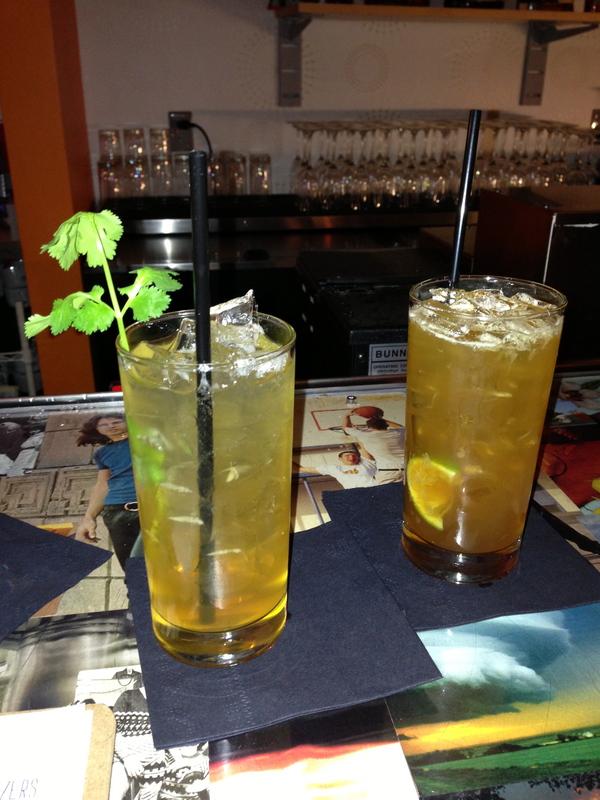 If you’re a fan of spice, the La Frida will be right up your alley. The cocktail is made with Tequila blanco, Triple Sec, fresh lime juice and peppercorn-chile agave. 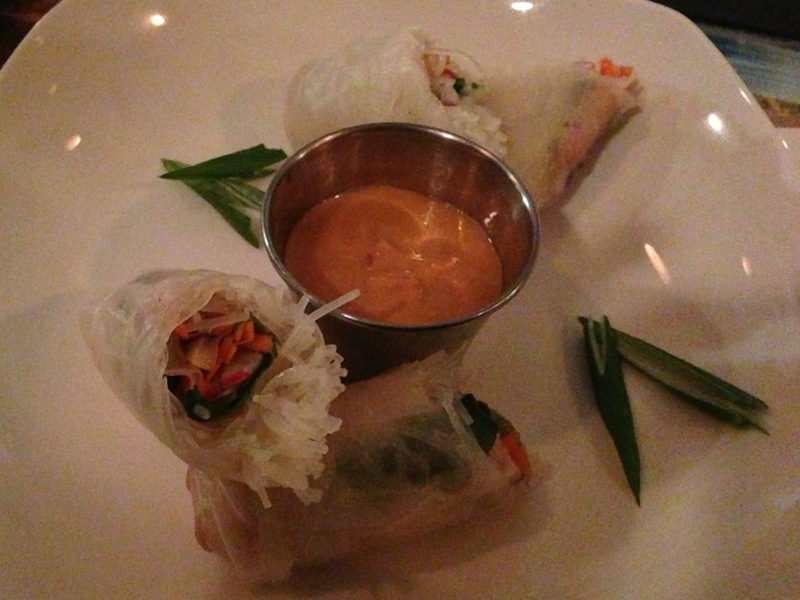 The fresh spring rolls are prepared with marinated greens, mushrooms, carrots and wrapped in rice paper. The spicy peanut sauce is quite addicting and adds a delicious flavor to this vegan and gluten-free appetizer. 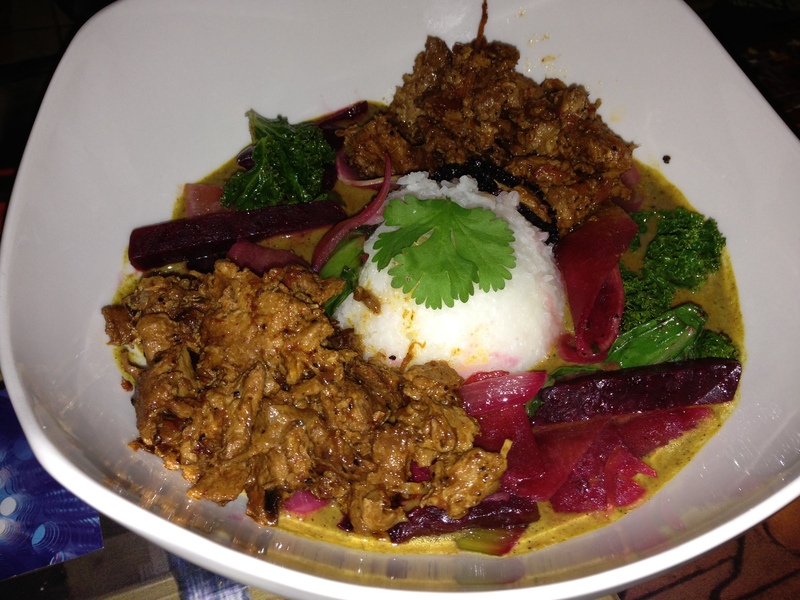 I have dreams about The Fiction Kitchen’s curry bowl, which happens to also be vegan and gluten-free. Seriously, I can’t get enough of this house-made curry dish created with coconut milk, seasonal vegetables and a rice blend. A helpful Foodie hint is to add the tinga “meat” for more protein. You can select your level of spice from one to ten. I tend to order the curry bowl at a heat level of eight or nine. Beware, it will make you sweat! I always say I’m going to bring half of the humongous bowl of curry home with me for lunch the next day. Lies! I eat the whole dish every time. 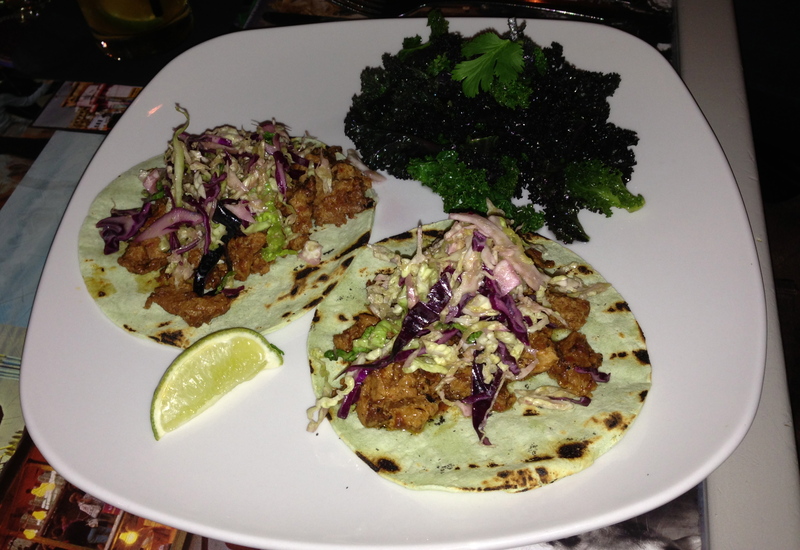 The tinga tacos are a delicious vegan option. The Fiction Kitchen serves colorful, healthy food. The tinga tacos are beautifully plated and you can smell them from a mile away. The tacos include spicy chipotle soy served on a corn tortilla with cilantro slaw, savory black beans and seasoned grains. 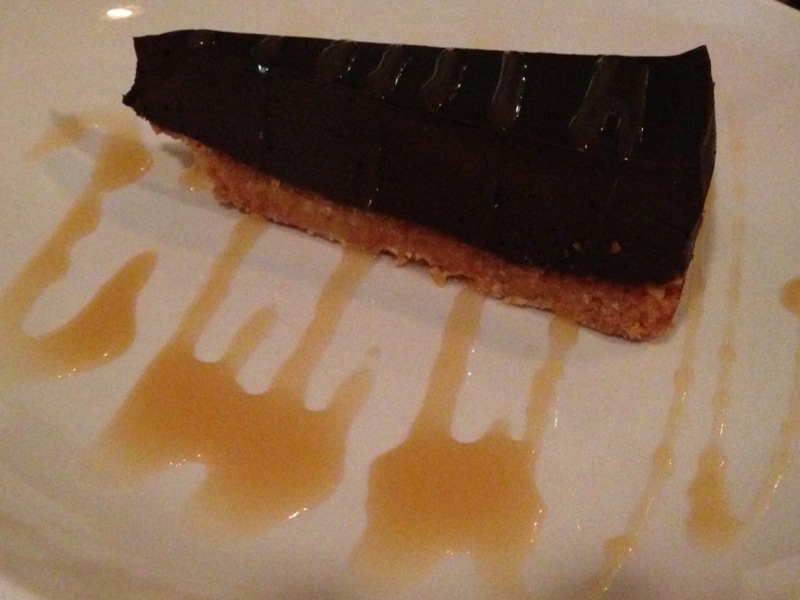 You have to save room for dessert at The Fiction Kitchen. My Foodie friend and I split the salted caramel chocolate truffle pie. If you’re a chocolate lover like me, you’ll be in heaven. Wow! This pie holds a special place in my heart now. The 50 seat dining area is always packed. Obviously, The Fiction Kitchen is a hit amongst vegans, vegetarians and omnivores alike! Make sure you check out The Fiction Kitchen next time you’re in the Warehouse District. It’s hard to miss the lime green restaurant on Dawson St.